Peabody Residential provides property management services in Alexandria, Annandale, Arlington, Ashburn, Falls Church, Fairfax, Herndon, Leesburg, McLean, NW Washington DC, Reston, Springfield, Sterling, Vienna . We do consider properties outside our main servicing area on a case by case basis. We offer clients a personalized experience working with a team of extensively cross-trained staff, a company consistently improving the client experience through industry best practices and implementation of new and useful technology, built on the foundation of our superior customer service. 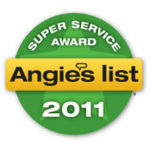 If you are seeking an award winning, highly rated and client centric company you have found us. We currently serve over 125 clients at post. Working with the housing needs of our current and past clients has finely tuned our ability to understand and meet their needs. We make the relocation away and return back home as smooth as possible while maintaining their property to be ready for a sudden return or sale. Managing a rental property with a busy schedule or from a distance can be very challenging. We will manage your property until you are ready or willing to sell it. Whether you are looking for help managing it as an investment for the short or long term, we will provide guidance to ensure you meet your goals with the property. When you are getting ready to PCS we can help. Whether this is your first PCS or you are a seasoned in relocating, we can help make the entire process as seamless as possible. Our goals are to reduce the stress you feel managing your properties, and to maintain your property to the highest standard. This will enable you to liquidate if needed at the maximum sales price. 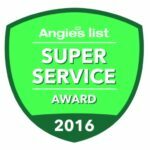 We believe so strongly that we provide a superior property management experience that we offer our clients THREE Guarantees! If the tenants we place in your property do not complete the first 12 months of their lease agreement we will re-rent the property for free. You will never pay 2 full leasing fees in the same 12 month period! 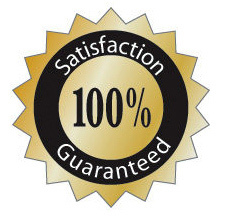 If for any reason you are not 100% Happy with our property management service, we will refund you that one month’s management fee. If for any reason you are not completely happy with our services and you want to leave Peabody Residential, you can cancel your agreement without penalty at any time. In 2010 we decided to really do things the “Peabody Residential Way”. 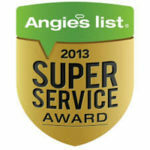 Since 2010 Peabody Residential has been awarded the annual Super Service Award by Angie’s List. 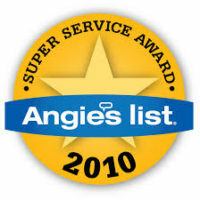 We have consistently maintained an A grade for 6 years with over 92 reviews and counting. 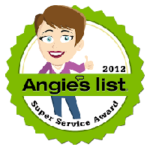 We have an excellent rating online with reviewers on Google scoring us at 4.5 and Yelp giving us 4+ Stars. 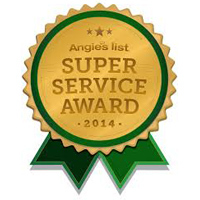 Owners praise us for the service we provide on their behalf. 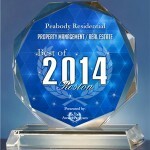 Additionally Peabody Residential was awarded the 2014 Best of Reston Award, with the most nominations by our clients and peers. 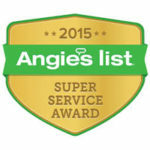 We reward our staff based on customer service and performance. This bring into alignment our client’s goals with our own. When you are happy, we are happy!